It’s fall and our participants are back in school and so are most of our guides since so many of them are teachers. Trip 3 capped off a wonderful season with another set of fantastic kids and terrific guides. 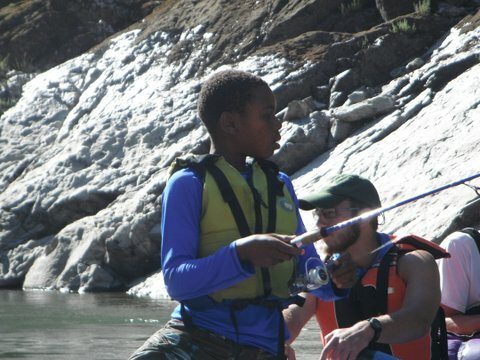 That trip endured some of the hottest temperatures of the summer as well as long days on the river but kids still fished, investigated stream macroinvertebrates, journaled, played hard and arrived home with lifelong memories. You are currently browsing the Wildscienceexplorer's Blog blog archives for September, 2013.